The Sunshine State's bullet-train network would've connected (from top) Tampa-St. Petersburg, Orlando and Miami. TALLAHASSEE, Fla.  "Yes," Floridians said, "we sure as heck do want a bullet train. . . Oh, really? Wow. Um, OK, then; on second thought, we really don't want it." That was the essence of Florida voters' behavior on Nov. 2nd. Sunshine Staters went to the polls that day and defeated the very same constitutional mandate for a state bullet-train network (www.floridahighspeedrail.org) that they'd approved in 2000. And the outcome was certainly no Bush-Gore nail-biter. 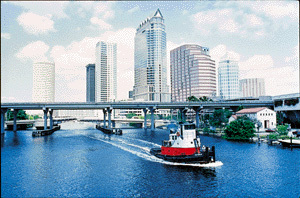 Sixty-four percent of 2004 Florida voters cast a "yes" ballot on Amendment 6, repealing the bullet-train appendage to the state's constitution. "The high-speed rail plan would have fiscally suffocated countless counties and done irreversible damage to our state's transportation budget," said Florida Chief Financial Officer Tom Gallagher (www.fldfs.com), who joined Gov. Jeb Bush (R) in spearheading the repeal push. Floridians' decision to overturn the amendment was unusual. The populace rarely returns to an issue that it's already decided and then votes the other way. For that matter, state political leaders' drive to derail the bullet-train measure was also unusual and politically risky. Many voters, political analysts agree, are indignant and insulted if asked to reconsider an issue they've already decided. And with Florida's bullet-train amendment, 53 percent only four years earlier had voted exactly the opposite way. As The Lakeland Ledger editorialized on Oct. 15th, "Gov. Jeb Bush and some lawmakers . . . want voters to destroy what they began in 2000. 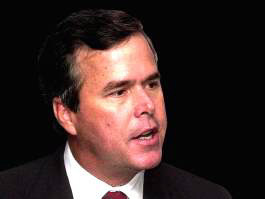 Bush says Floridians didn't know what they were approving. "We believe they did," the central Florida newspaper continued. "Voters knew that mass transportation reduces pollution by cutting down on auto emissions. They knew that a train would help preserve the environment by using less open land than [building] new highways. And they knew that commuters need an alternative to the state's congested roads." But some major changes had gone down between the 2000 and 2004 elections. One of them was another amendment that Florida voters approved in the 2002 election. This one mandated economic impact statements for all proposed constitutional amendments in the future. And bullet-train costs were one very big thing that voters hadn't known four years earlier. 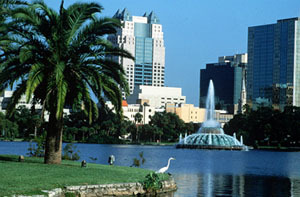 No cost estimate was included on the 2000 ballot, which authorized a link between Tampa-St. Petersburg and Orlando, and a second link from Orlando to Miami. 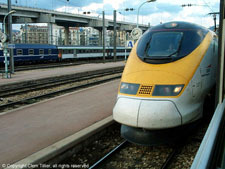 The Florida bullet train would've been Bombardier's first commercial contract its JetTrain technology. 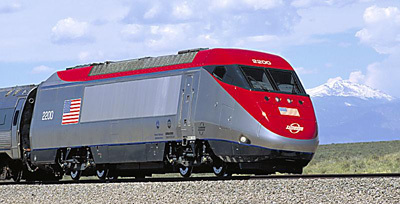 The gas-powered JetTrain locomotive (pictured) has a top speed of 150 miles (240 kilometers) per hour but weighs only half of a conventional diesel freight locomotive with similar horsepower. By then, the repeal movement was rapidly picking up speed. More than 650,000 state voters signed a petition to repeal the 2000-approved amendment. In late July of this year, that petition qualified the bullet-train repeal for 2004's election. "Since the amendment passed we've developed a more realistic view of what the project will do for the state and, most importantly, what it will do to the state," said Gov. Bush (pictured). "Taxpayers will bear the burden, and it will come at the expense of state priorities." The estimate was a stunner. So stunning, in fact, that the Florida Supreme Court sent it back to the panel. Court justices said that the group shouldn't have used the verb could. And they also ruled that the group overstepped its bounds by including the by-household cost breakdown. Bullet-train backers charged that the appointed panel was parroting the politics of the appointer - Bush. 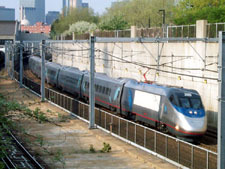 Thom Rumberger, a lawyer for the pro-train forces, asserted that the panel "was trying to make [the bullet train] as politically un-charming as possible." Florida's high court soon approved a new estimate: a "probable" cost savings of between $20 billion to $25 billion - still high enough to rank among the most pricey public-works projects in Florida history. By then, the scenario was set. The bullet train, along with its hefty price tag, was locked on track to once more go before voters. Both sides marshaled fact-stuffed campaigns. They unfolded much like two trains running in diametrically opposite directions. 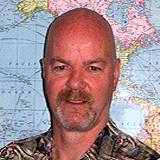 "As CFO, I have a constitutional responsibility to evaluate the financial soundness and accountability of state projects, including high-speed rail," said state Chief Financial Officer Tom Gallagher (pictured), who served as chairman of the Derail the Bullet Train (DEBT) campaign. 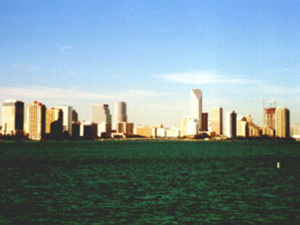 visitors would increase to 130 million in five years, they added. "We simply cannot build enough highways to keep pace with Florida's growth," said Rail Truth Executive Director Ken Walton. Walton also asserted that Florida's annual costs were capped at $75 million. That, he maintained, represented only 1.5 percent of the state's $6.1-billion annual transportation budget. The state's $75-million-a-year limit had been established by a consortium led by Bombardier and Fluor Daniel, which the state selected to design, build and operate the first bullet-train link. The rest of project funding, the Bombardier-Fluor group said, would come from debt financing. And the state would get its contribution back - and more, Walton added. Operational profits would begin filling state coffers by the second year the train ran, he said. After 30 years, the state would make a profit of $400 million-plus. And the private-sector consortium would be responsible for covering any cost overruns, The Rail Truth contended. Then there were the lost economic benefits if the train initiative died. Tim Lynch, director of Florida State University's Center for Economic Analysis, gave his assessment of that loss at a meeting this year of the Florida Legislature's office of Economic & Demographic Research to assess bullet-train costs. "If Article X, section 19, of the constitution is repealed," said Lynch, "the loss of economic benefits by private-sector businesses, the public and state of Florida will include 41,267 jobs, $11.7 billion in wages and salaries, $34.1 billion in additional economic activity, and a $5.7 billion loss of other benefits." Tim Lynch, director of Florida State University's Center for Economic Analysis told the state Legislature that bullet-train repeal would mean losing "41,267 jobs, $11.7 billion in wages and salaries, $34.1 billion in additional economic activity, and . . . $5.7 billion [in] other benefits." Gallagher, for one, said, "I'd love to have a train system." 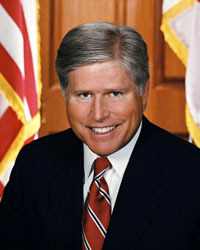 As a state legislator in 1984, Gallagher voted to have the private sector construct a high-rail system. The group favoring bullet-train repeal rolled out an array of high-profile supporters. Gov. Bush was one of them. "Since the amendment passed we've developed a more realistic view of what the project will do for the state and, most importantly, what it will do to the state," Bush said at the March kickoff of the Derail the Bullet Train (DEBT at www.derailthebullettrain.com) campaign. "Taxpayers will bear the burden, and it will come at the expense of state priorities. Not only will it affect other transportation projects, but it will also impact state funding for other priorities." 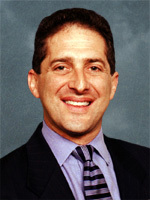 Gallagher boosted the DEBT campaign's credibility by serving as chairman. "As CFO, I have a constitutional responsibility to evaluate the financial soundness and accountability of state projects, including high-speed rail," said Gallagher. "After evaluating recent reports and the potential impact on the state's treasury, I believe implementing a project of this magnitude will come at a great cost to Florida taxpayers and negatively impact the current and ongoing transportation needs of our state." Pro-repeal forces also pointed out how the rapid-rail system would cripple other state transportation projects. "The bullet train is a misguided use of millions of dollars for a transportation system that will do nothing to reduce the traffic and congestion we are facing here in Palm Beach County," said state Sen. Ron Klein (pictured). half of current transportation projects would have to be postponed. He buttressed his argument by citing a Florida Transportation Commission report that observed, "Implementing the proposed high-speed rail system . . . will result in Floridians and the state's traveling public suffering from the state's failure to implement planned critical transportation projects." Floridians were also apparently influenced by the fact that the bullet train would do almost nothing for the average voter mired in gridlock. As the Palm Beach Post editorialized in October, "A bullet train to Disney World from South Florida wouldn't do anything to make life easier for the commuter trying to get from Boca Raton or Jupiter or Port St. Lucie to West Palm Beach on Interstate 95 or Florida's Turnpike." More roads would still have to be built, the newspaper contended. Mounting state debt was another pro-repeal theme. "With no guarantee of federal funding and a lack of funding from the private sector," Gallagher said, "Florida taxpayers are facing a $150-million price tag annually for the next 30 years just to build the first rail segment." "Florida is nearing our legislatively mandated debt limit," Gallagher continued. "Taking on substantially greater debt to finance the high-speed rail could negatively impact the state's financial standing and put our current bond rating at risk." The project also drew public opposition from prominent officials in the area that the train would run straight through. "The bullet train is a misguided use of millions of dollars for a transportation system that will do nothing to reduce the traffic and congestion we are facing here in Palm Beach County," said state Sen. Ron Klein (D). Then there was Palm Beach County Commissioner Burt Aaronson, who called the current plan "the biggest boondoggle that the state of Florida has ever seen." For whatever reason, state voters found the pro-repeal arguments centered on costs much more persuasive. It couldn't have helped the pro-train case when HSRA early this year dramatically increased its cost estimate for building the Tampa-to-Orlando link to $2.6 billion. A year earlier, the authority had projected that that cost would be "only" somewhere between $1.2 billion and $1.8 billion. The cancelled bullet train project also means major costs for the Bombardier-Fluor consortium. The group - which was operating without a signed contract - reports that it spent $11 million on landing the Florida project and laying out the first link. Even Global Rail Consortium, one of the 10 other bidders that weren't selected for the bullet-train system, reported a significant loss. That group, which included Centex Rooney Construction, Lockheed and RailNet, reports says it spent $5 million in trying to land the project. But don't count rapid rail out in Florida. The state's considerable transportation needs remain, just as they do in other densely populated states that are a major tourism draw. The state's rapid-rail proponents say that they'll be back with another proposal. That seems likely. Next time around, though, supporters know that they'll need a plan that the public can easily understand. And a plan that's more clearly palatable to the bottom line. ©2004 Conway Data, Inc. All rights reserved. Data is from many sources and is not warranted to be accurate or current.